Sometimes it takes stepping away from your passion to realize just how much you miss it and to reignite the creative sparks that once inspired that passion in the first place. Such was the case for longtime keys player and musician Justin Paciocco. The former keyboardist for Richmond jam band Farm Vegas, Paciocco was burnt out after the band parted ways in 2012 and thus, took up a 9 to 5 gig. However, that passion for music never died and so around Thanksgiving two years ago, he was inspired to pick it back up again, this time with a guitar. Little did he know that hobby would blossom into a successful band that is now about to drop an album after nearly two years of playing shows. After tinkering around and teaching himself to play guitar, writing over 50 songs, and recruiting a cadre of his fellow Richmond musician friends, Paciocco realized this experiment was something that had legs so in 2016 he formed the band, VILLAGES. Indeed. VILLAGES is a little bit of everyone from Richmond’s music scene. Rounding out the band is drummer Stephen Lecky (Farm Vegas, Friday Cheers), bassist Zach Hudgins (Jackass Flats, Red Light Rodeo), guitarist/mandolin player Corey Wells (The Shack Band), guitarist J.L Hodges (Avers, Farm Vegas), fellow Jackass Flats member Stephen Kuester on pedal steel, and backup vocalist Molly Payne. Paciocco, who does most of the writing and plays guitar in VILLAGES, said after the Americana band played their first gig at The Camel and received a positive reception, the group decided to see if they could make a go of it. “We said let’s just book more gigs and record some of these songs,” Paciocco said. And they did just that. They recruited the help of Zach Fichter (Turkuaz) and Jeremy Simmons (Elephant Ear Studio) to record the seven-track album, which they will release June 22. “Everything is Fine” is a catchy, folky track with a little twang and Paciocco said the song is about communication breakdown in a relationship and how you can feel so close to somebody but also, so distant at the same time. As for the album, the musician said it delves into what he’s been experiencing the past 10 years of his life. The process of getting it down, recording it, and putting it out for people also served as a sort of therapy for him. 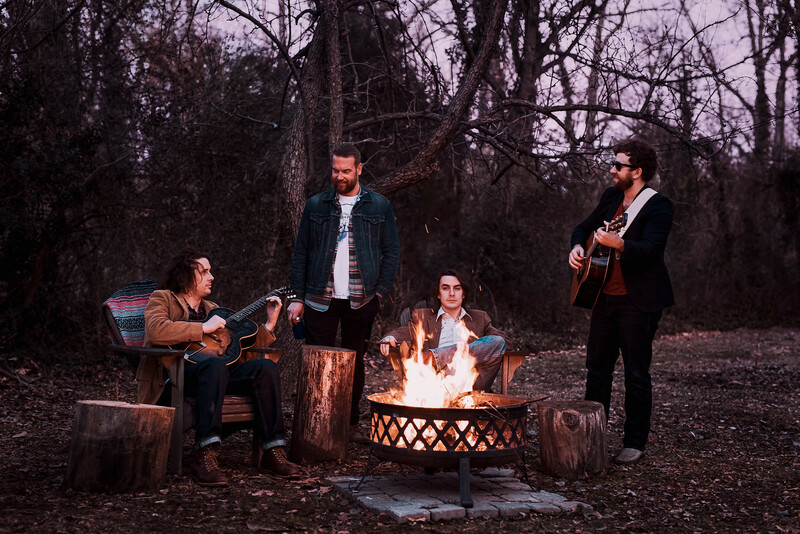 VILLAGES will hit The Camel Fri., June 22 for their album release party accompanied by Richmond band The Northerners who have made a comeback, as well as Alabama rock outfit Lee Bains III & The Glory Fires. Doors at 8:30, music at 9:30. $8 in advance, snag your tickets here. The band has a bevy of shows on the schedule from June until September including Music in the Park in July, and The Shack Up Festival and RVA Bluegrass Experience in September. So until the show next month, enjoy this sweet little tune in the meantime.